Karis Ocean has been further expanding its shipping services. 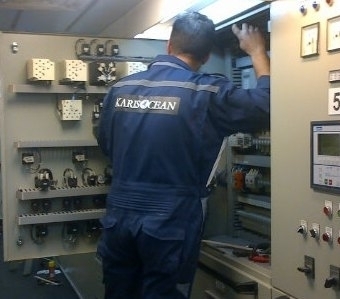 Karis Ocean is happy to take away the hassle of ship management on the customer’s behalf or under the Karis Ocean flag. With a broad range of services from thruster installations to major conversions, DP upgrades, steel renewal, HV electrical installations and fault finding, we make these vessels ready for projects and/or support these vessels during projects. Shipyard Management Services result for our clients in meeting the highest western quality standards, cost reduction and meeting lead times. They are carried out by a project team with years of experience in different areas of expertise.